Read more about the game here from our sister newspaper the San Jose Mercury news. The Galaxy advanced to the round of 16 in the U.S. Open Cup thanks to Wednesday’s 3-1 victory over Orange County Soccer Club. The Galaxy received goals from Jose Villarreal, Jack McBean and Ari Lassiter in the victory. The stage is set for the Round of 16 draw on Thursday. The remaining 16 teams are separated into four regions: Central, East, South and West. Read the story by Staff Writer Damian Calhoun on the Galaxy’s overtime disintegration. Maybe Bruce Arena really does hate the U.S. Open & doesn't want to win it. Or perhaps Dallas is a good team, pulled it out in the end. The Galaxy will host FC Dallas in the U.S. Open Cup semifinals, Aug. 10 at 7 p.m. The hosts were confirmed through a draw process, Thursday morning in Chicago. The Galaxy defeated Seattle, 4-2 in Wednesday’s quarterfinal to advance to the semifinals for the first time since 2006. In the other semifinal, New England will host Chicago, Tuesday, Aug. 9. Chicago has the highest host priority for the final. 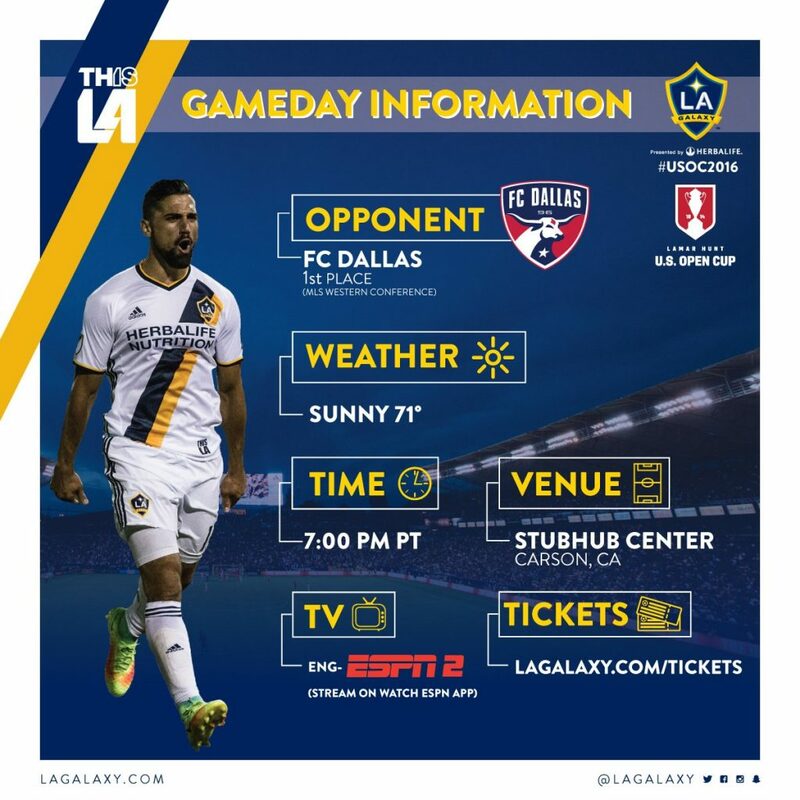 For the Galaxy to host, it will need a victory over FC Dallas and a New England victory over Chicago. The final is tentatively scheduled for Sept. 21. Philadelphia at New England, 4:30 p.m.
Fort Lauderdale at Chicago, 5:30 p.m.
FC Dallas at Houston, 5:30 p.m.
Seattle at Galaxy, 7:30 p.m. 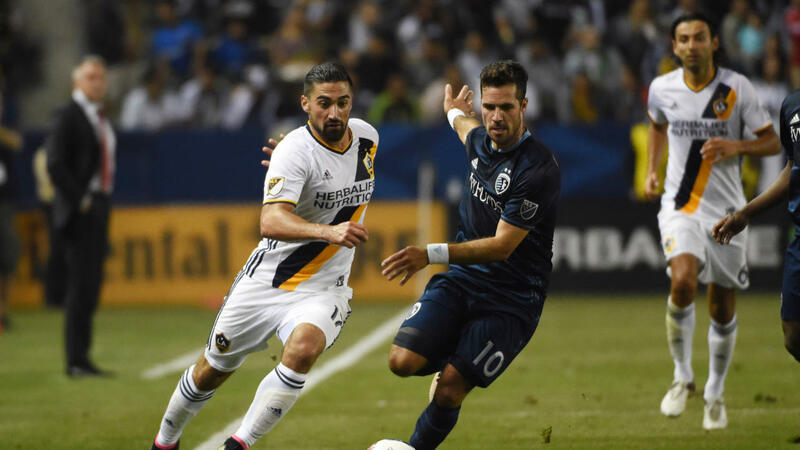 The Galaxy will play their U.S. Open Cup quarterfinal match against the Seattle Sounders at the StubHub Center Track & Field Stadium on July 20. The match was moved from the main stadium to accommodate the Crossfit Games, which will take place at StubHub Center from July 19-24. The club announced that there will be additional temporary seating at the east side of the track and field stadium to increase capacity for the match. Parking is free for the match and tickets go on sale July 11. Raul Mendiola‘s goal in the fifth minute against Portland was enough to send the Galaxy through to the quarterfinals of the U.S. Open Cup as L.A. held on for a 1-0 win on Wednesday at Providence Park. The homegrown player subbed off for Mike Magee in the 64th minute after a productive shift both offensively and defensively. 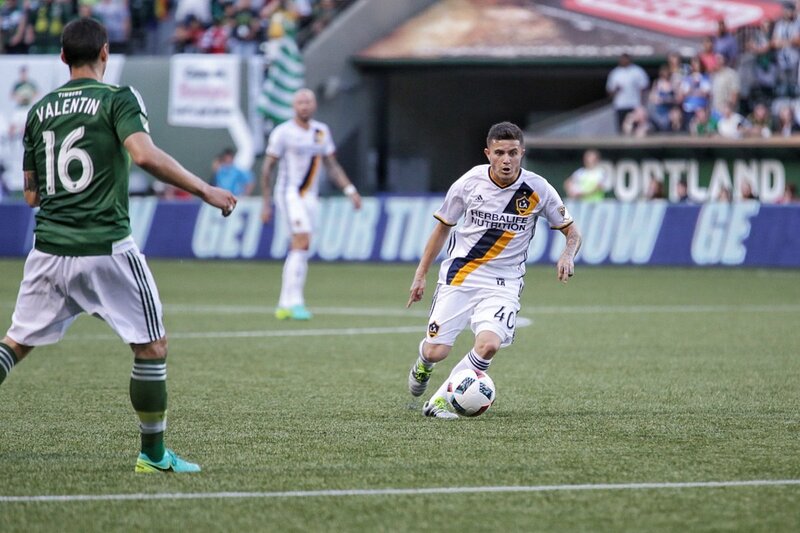 He has a goal and an assist in his two U.S. Open Cup appearances for the Galaxy this season. The Galaxy will host Seattle on July 20 in their second straight U.S. Open Cup quarterfinal appearance. The team continues MLS play on July 4 at home against Vancouver. The Galaxy face Portland in the U.S. Open Cup round of 16 on Wednesday at 7:30 p.m. at Providence Park. The winner of the match hosts Seattle in the quarterfinals after the Sounders knocked off Real Salt Lake in a shootout on Tuesday. The Galaxy and Timbers have not met in U.S. Open Cup play since 2011. L.A. has won the tournament twice, but hasn’t advanced past the quarterfinals since finishing second to the Chicago Fire in 2006. 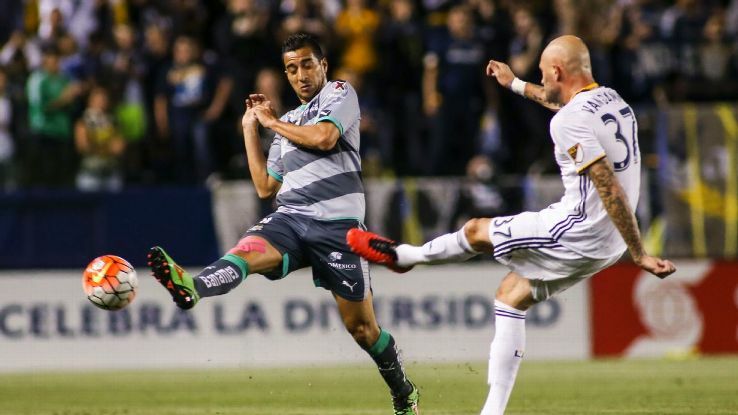 The Galaxy’s only win since May 8 came in the U.S. Open Cup fourth round against amateur team La Maquina.